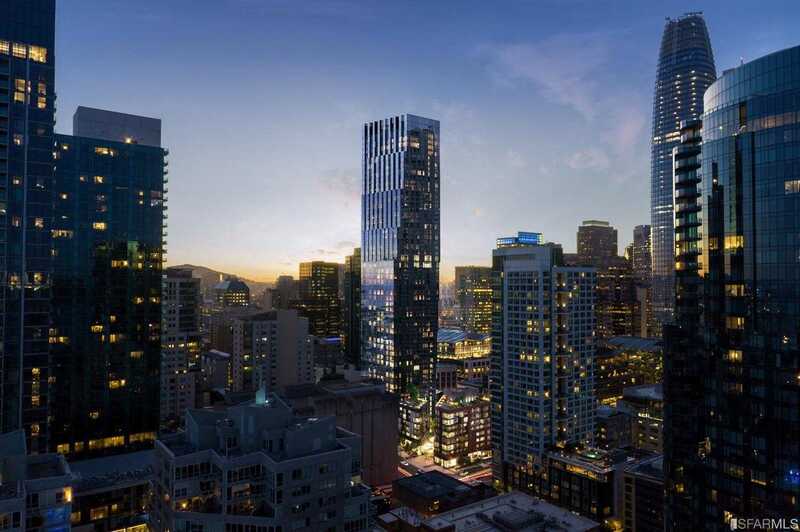 Courtesy of Edie A. Narrido, Related CA Residential Sales, Inc..
SF’s newest luxury condo tower, developed by Related, designed by OMA, The Avery is a sculpted glass tower soaring 618′ tall into the SF skyline. Starting on the 33rd flr, homes range from 1-3 bdrm residences & penthouses. Residences features expansive layouts w flr-to-ceiling windows that emphasize grand views of SF Bay, Bay Bridge, & city skyline. Acclaimed Clodagh Design chose warm wood tones & authentic marbles to create stunning custom interiors. Open gourmet kitchens boast premium Miele appliances & spa-inspired bathrooms feature custom dual vanities & marble clad walls. Amenities & services incl attended private lobby, 24/7 valet pkg, fitness studio, pool, entertainment lounges & more. Closings in spring 2019.